There is a wonderful website, Astronomy Picture of the Day (APoD). If you are not familiar with it, you should. Borrowing its idea, I will be regularly highlighting astronomy photographs that have been taken in Pakistan. While the country has been in turmoil for the past decade or so, the astronomy scene has been burgeoning in major cities like Karachi, Lahore and Islamabad (see this recent post: A Wonderful Session with Lahore Astronomical Society; Also see Public Astronomy Flourishing in Pakistan). To start with, here are some photographs of our Sun taken by Umair Asim at his Zed Astronomical Observatory using an H-alpha telescope back in November. First, here is a panoramic view of the Sun, and you nicely see a few sunspots. 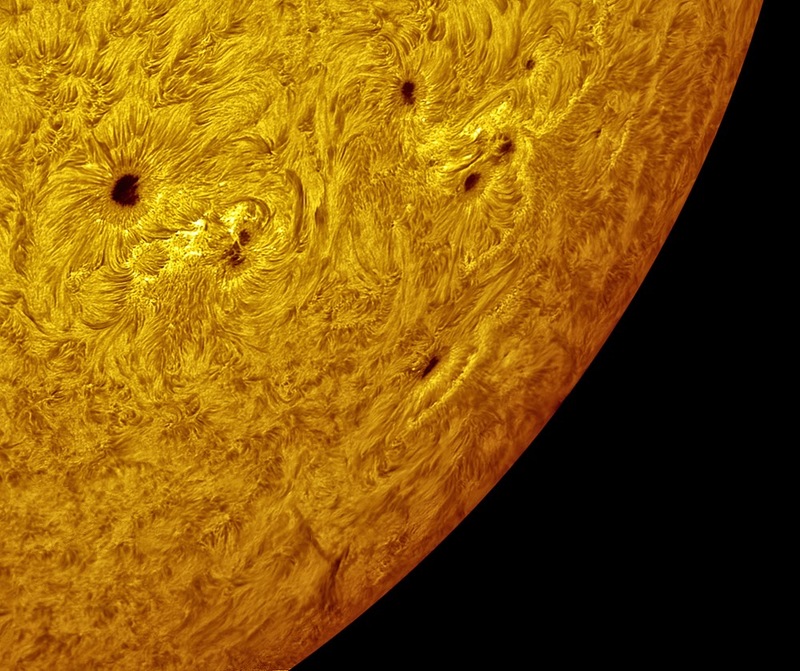 Here is a closeup of the sunspots. 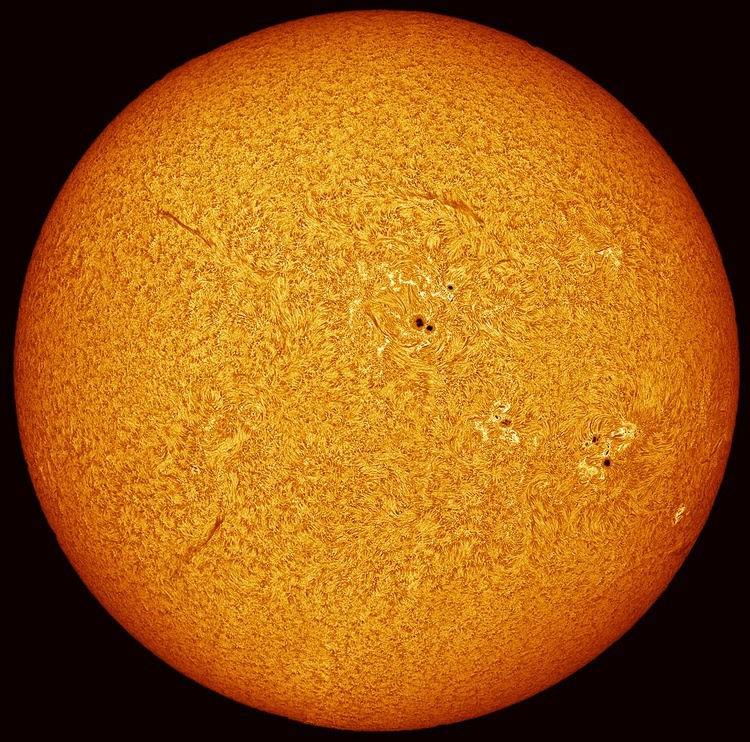 Remember, that these sunspots are not holes in the Sun. Rather, these are areas that slightly cooler (still very hot!) than the surrounding areas, and therefore appear darker. 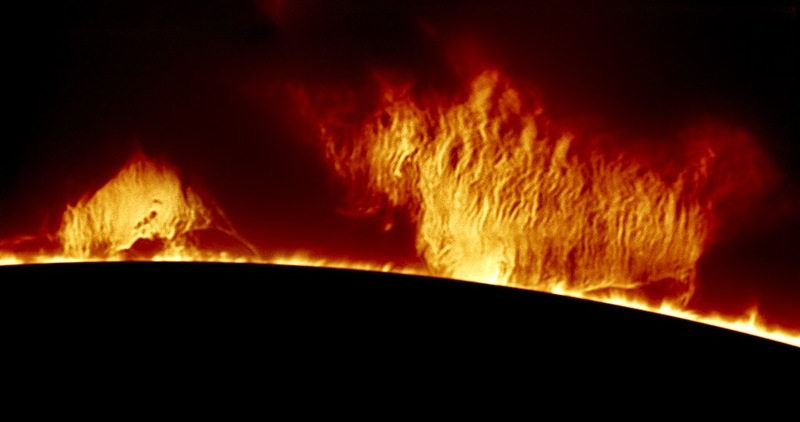 And here are some spectacular pictures of solar prominence. These are temporary loop like gaseous structures - related to Sun's magnetic fields - that can extend thousands of kilometers. 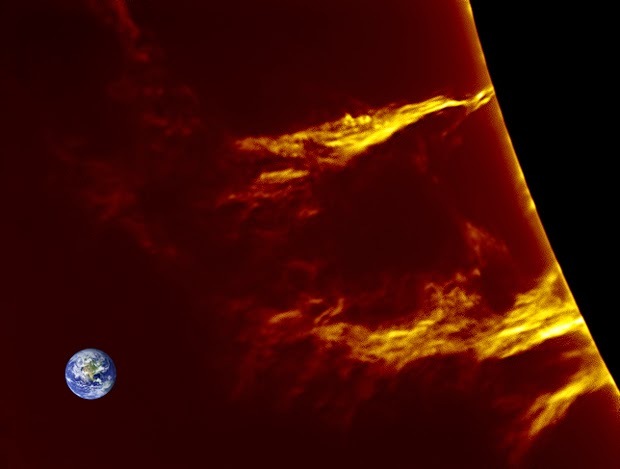 And Umair has helpfully placed the Earth to give a comparative scale of solar prominence. Of course, do not do this with the real Earth! This is so encouraging and extremely satisfying to see! I feel very happy to see how Pakistan's Astronomy scene has been on the rise throughout all the gloominess around us. This motivates me to take better images and keep doing it, it might end up here someday! (fingers crossed!) :) CONGRATULATIONS on this initiative Dr Salman Hameed ! Looking forward to seeing this on a regular basis! I am sure other astrophotographers here in Lahore Astronomical Society are already getting excited for this! On which email address are we suppose to submit our images ? Thanks Roshaan. 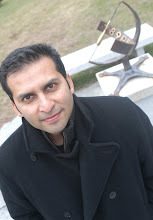 You can send the images to either Umair Asim or to me (you can find my email on the blog or on my Hampshire College page).